Ten million pets go missing each year across the U.S. The situation can be a pet owner's worst nightmare and can often lead to devastating consequences. The team at Aloha Pet & Bird Hospital wants to help protect your pet and lessen your worry. This is why we consider microchip pet IDs a fundamental way to protect your companion and an important part of responsible pet ownership. Studies have shown that 90% of those missing pets who were found would not have been returned to their owners without some form of permanent pet identification. Collars and ID tags can break off or become unreadable due to wear. Microchipping, on the other hand, is a safe, reliable, and permanent method of pet identification which takes less than 10 seconds to implant and can save you and your pet days, weeks, or more of fear and anguish. A microchip is about the size and shape of a grain of rice and is placed underneath your pet's skin between the shoulder blades. The microchip registers your pet with a unique identification number, which is filed in a database with your contact information. You can update your contact information any time online or with a quick phone call, and it is important to remember to do so whenever your information changes. If your pet is lost, the microchip can be scanned by animal control officers, at shelters, and at veterinary hospitals in the U.S. and in many foreign countries. At Aloha Pet & Bird Hospital we have reunited several lost pets with their owners after they who were brought to our hospital and scanned for a microchip. We use the HomeAgain microchip system, which offers additional benefits to pet owners such as proactive pet recovery and free access to ASPCA Poison Control. HomeAgain also comes with a number of useful services such as their National Pet Recovery Database, Lost Pet Specialists, Rapid Lost Pet Alerts, Lost Pet Medical Insurance, Travel Assistance for Found Pets, and more. Bad habits can be hard to break. The experienced doctors and staff at Aloha Pet & Bird Hospital don't want you to make the mistake of believing you and your family must live with these problems or worse, consider giving up your pet. In an effort to keep more pets in their forever homes, Aloha Pet & Bird Hospital offers behavior counseling for many of your pet's problems, such as fear aggression and separation anxiety. Also, because we live in Florida where the weather can get quite stormy, we are here to counsel you in ways to better handle weather-related phobias, such as fear of thunder. We provide Interstate health certificates for travel with your four-legged friend. We ask that you investigate your destination's requirements prior to your appointment. Many countries require Rabies titer testing and microchipping. 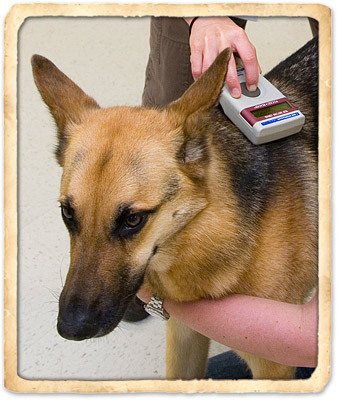 We are able to provide these services for your pet. Because each destination country has different requirements for your pet's entry, you are responsible for supplying the list of requirements that need to be met for traveling; we can only accommodate the guidelines you provide. Aloha Pet & Bird Hospital cannot assume responsibility for ensuring all requirements are met for your particular situation and cannot be held responsible for quarantine, denial of entry, or costs incurred due to unfulfilled requirements for your pet. 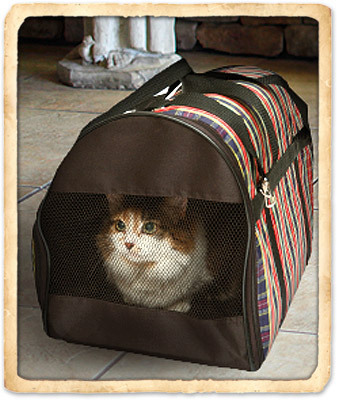 You can find a list of pet-friendly hotels at www.petswelcome.com. Another way the team at Aloha Pet & Bird Hospital demonstrates commitment to your pet's health is through our fully stocked in-house pharmacy. As your pet's prescribing veterinarian, you can trust that when you fill prescriptions at our pharmacy your pet will receive the right medication, at the right dose, in the right form as quickly as possible. We will also provide you with detailed instructions on the medication's use, discuss any side effects or interactions and even administer the first dose for you if possible. When it comes to prescription medications, accurate dosage and administration is of the utmost importance. You can feel confident all the medications we dispense were obtained from safe, reliable sources and have been stored under the right conditions. At our veterinary pharmacy, we maintain a comprehensive inventory of pharmaceuticals, vitamins, shampoos, flea and tick control products and heartworm preventatives to meet the needs of you and your pet. Refills are easy too – simply give us a call or request a refill on our website. It is an unfortunate fact of life that our pets often do not live as long as we do. For many pet owners, even thinking about their pet's finals days is difficult and filled with emotion. Strong bonds born from years of loyal companionship make this time particularly hard to bear. At Aloha Pet & Bird Hospital, our team understands how difficult it is to say goodbye. Should you need us to help guide you through the experience with the knowledge and compassion required, we are here to provide whatever assistance we can during a difficult time. In addition to offering grief counseling, our staff of caring professionals also offer hospice services and humane euthanasia. Hospice, or palliative care, is an option for pet parents who are opposed to euthanasia and/or want to engage in an extended goodbye with a pet suffering from a terminal illness where a cure is not possible. Hospice is not a place, but a choice that combines proper use of pain medications, dietary strategies and human interaction for a positive end-of-life experience for your pet and his or her caretakers. 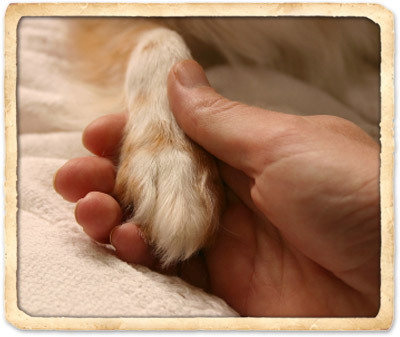 Our hospice and humane euthanasia services are conducted with respect, compassion, and care to ensure your pet's comfort and dignity during his or her last days and final moments. We encourage you to talk with our veterinary healthcare team about these issues before they become urgent. Find out about your options, including our crematory services, make key decisions ahead of time, and ask us to add this information to your pet's record. Taking the time to plan, as challenging as it may be, will lessen the pain and stress for you and your pet. For more information, please call Aloha Pet & Bird Hospital today at (321) 777-6444.